Professor Don Metcalf is regarded as the ‘father of modern haematology’. He is best known for his pioneering discovery of colony stimulating factors, which have helped more than 20 million people worldwide. 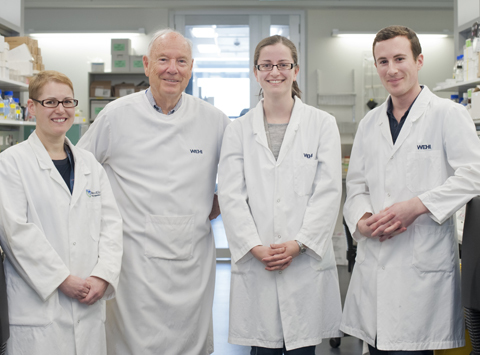 Professor Metcalf began his research at the Walter and Eliza Hall Institute in 1954 with a Carden Fellowship in cancer research from the Anti-Cancer Council of Victoria (now Cancer Council Victoria). He spent his early years here studying vaccinia virus under Sir Frank Macfarlane Burnet. 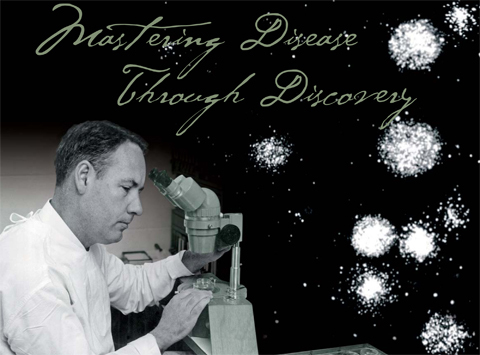 He undertook postdoctoral work at Harvard Medical School from 1956 to 1958, before returning to the Institute as head of the Cancer Research laboratory. In 1966, Professor Metcalf became deputy director of the Institute, under newly appointed director Sir Gustav Nossal. In the early 1960s Professor Metcalf speculated that there must be a biological mechanism – one or more hormones – that controlled white blood cell production. These white blood cells become severely depleted in cancer patients undergoing chemotherapy, leaving them vulnerable to serious and sometimes fatal infections. Over a period of fifteen years Metcalf and his colleagues identified and purified four hormones that regulate blood cell production. These were dubbed ‘colony stimulating factors’, or CSFs, because they stimulated the production of white blood cells. By the late 1980s gene cloning enabled mass production of CSFs, and they were rolled out to clinics worldwide. To date, Professor Metcalf’s discovery has benefited more than 20 million cancer patients worldwide. 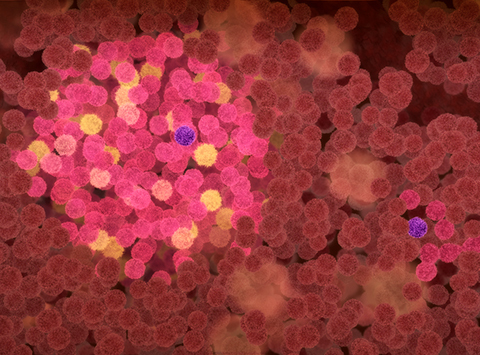 CSFs also revolutionised transplant medicine, leading to new techniques for performing bone marrow transplants for patients with blood diseases such as leukaemia. Although officially retiring in1996, Professor Metcalf continued his research at the Institute for a further 18 years, studying the regulation of normal and leukaemic blood cells. In his last months, with poor health finally preventing him from coming into the Institute, he requested a microscope be set up at home so he could continue working as long as possible. One of the first patients to benefit from Professor Metcalf’s work was famed Spanish tenor, Señor Jose Carreras. After being diagnosed with acute myeloid leukaemia, which did not respond to initial treatment, Señor Carreras received a treatment regime that included CSF therapy in 1987. He responded positively and recovered. Señor Carreras visited the Institute in 1991 to meet Professor Metcalf and thank him for his role in developing the treatment. He also attended Professor Metcalf’s seventieth birthday in 1997 to sing him Happy Birthday. Professor Metcalf’s work was honoured through his election to scientific academies in Australia, the UK and the US and by the awarding of almost every major international science prize. He was named an Officer of the Order of Australia (AO) in 1976 and a Companion of the Order (AC) in 1993. In 2005 Professor Metcalf was interviewed for the WEHI Revisited series (produced by Louise Darmody, Sound Memories), in which several Institute luminaries spoke about what drove them to pursue a career in medical research, and shared memories of life at the Institute. Since their discovery by Professor Donald Metcalf and his colleagues, CSFs have helped millions of cancer patients to survive the damage to bone marrow caused by high-dose chemotherapy. A celebration of the scientific research achievements of Professor Donald Metcalf on the occasion of his 80th birthday.